Hope House in the 5th Ward. A drive through Houston’s inner city reveals a world very different from that in which most Houston suburbanites live. 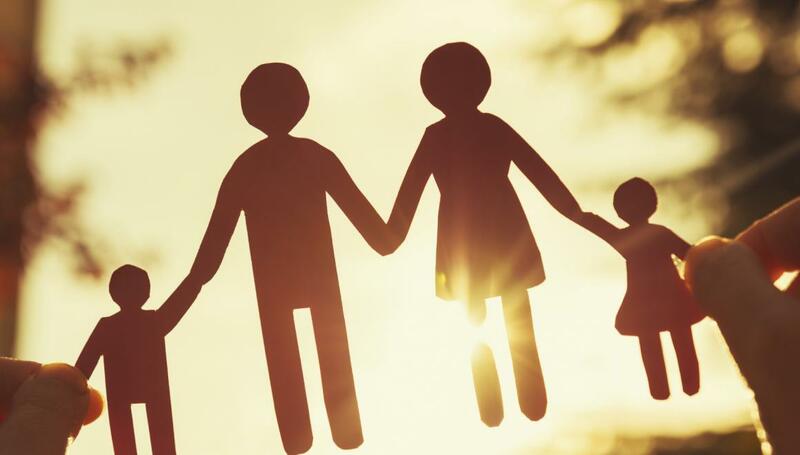 Five out of ten families are single-parent households. Four out of ten households live at or below the poverty line. In the predominantly African-American neighborhoods nearly one in four boys will not complete high school. While there are a lot of Christians who want to serve in urban Houston, most are not sure where to start or how to be effective. Hope House is a 1.5 acre campus in Houston’s 5th Ward/Kashmere Gardens urban neighborhood. Thirteen small houses exist on this property. Nine houses are in usable condition and four are awaiting restoration. The long term goals of Dave Dozier and the Faithwalking missional community at Hope House are to use the property in a residential ministry to transform the lives of ex-offenders and those in recovery, and for Hope House to bring transformation to the surrounding neighborhood. Phase Three- Having become a partner in the neighborhood and allowing members of that neighborhood to take ownership and leadership, the Hope House Faithwalking missional community will assist the residents in that community in restoring Kingdom living to the neighborhood. Planting churches that are both culturally relevant and missional in nature. We are currently transitioning from phase one to phase two. We are seeing lives transformed, both in the Hope House residents and the families who live in the neighborhood. Long-term residents of the neighborhood are excited about the visible changes on their streets. We still have a long way to go and are inviting Faithwalking partners to journey with us. Opportunities exist to serve in a variety of ways, from interacting with residents of the Hope House neighborhood to behind-the-scenes administrative duties. To get involved or for more information, contact Dave Dozier. To read original source, click here. Some Christians may have written off public education, but others are discovering innovative ways to develop meaningful relationships with public schools. Volunteers work on landscaping at Shearn Elementary School during a “makeover” workday, held as part of Mission Houston’s Whole & Healthy Child Initiative. Over the last decade, the Exodus Mandate captured the attention of some evangelicals with its call to “leave government schools for the Promised Land of Christian schools or homeschooling,” as stated on the movement’s website. No doubt, some answered that call to withdraw. The U.S. Department of Education estimates more than 4 million students attend private religious schools, and the National Center for Education Statistics reports the number of homeschooled students grew from 850,000 in 1999 to 1.5 million in 2007. But many churches and Christian groups have refused to turn their backs on the public schools, choosing instead to explore how they can minister in appropriate ways to students, parents, teachers and administrators. Two years ago, Mission Houston—an interdenominational network of churches committed to community transformation in Texas’ largest city—launched its Whole & Healthy Child Initiative. The initiative represents a 10-year commitment by Christian volunteers to adopt public elementary schools in the Houston area that have high percentages of at-risk students. “Our goal is the transformation of the public school system in Houston,” said Jim Herrington, founder and chairman of the board of Mission Houston. Rather than link one church to one school, the initiative takes a collaborative approach, enlisting several congregations to work in partnership with each school. The initiative aims to enlist trained adults who will spend at least one hour a week with at-risk students throughout the school year. By the end of the 10-year commitment, Mission Houston hopes to have 13,500 mentors working with 100 at-risk students in 135 schools. “For every child who has a mentor, we want to enlist an intercessor who not only will be praying for that kid, but also for the child’s parents and teachers, as well as the mentor,” Herrington explained. Through the initiative, Christian business leaders will seek to raise $10,000—or an equal amount of in-kind gifts—each year to supplement each adopted school’s educational program. “These are inner-city schools that often don’t have a PTA or PTO to raise money for projects,” Herrington said. Already, the initiative has raised funds to enable schools to add computers, upgrade playground equipment, install new lighting in classrooms and conduct enrichment programs such as an all-day event on the University of Houston campus. Volunteers from churches commit labor to at least one aesthetic improvement project a year for each adopted school. Jeff Peters, a layman at Willow Meadows Baptist Church in Houston, leads the makeover aspect of his congregation’s partnership with Shearn Elementary School. “The schools have maintenance budgets and personnel, but there’s always a gap,” Peters said. Volunteers work hard to make schools a place where success can happen. His crew has helped paint classrooms, landscape school grounds and pave a walkway at their school. Volunteers from a Presbyterian church that also works at Shearn Elementary organized the school’s library, he added. Last year, Peters and other lay leaders at more than a half-dozen other churches spent about six months planning and promoting a workday Oct. 18 at Shearn Elementary School. But on Sept. 13, Hurricane Ike hit Houston. Peters considered canceling the workday on the school campus, but other leaders suggested they keep the event on the calendar. “We had 100 people who showed up. That’s pretty amazing, considering these were people who were already burned out from working on their own homes,” Peters said. In fact, the event proved to be so successful, the churches scheduled a second workday during the 2008-2009 school year just before school dismissed in May. The school appreciates the churches’ commitment to not just a one-shot event, but to an ongoing relationship, Peters added. “I have a foot-high stack of thank-you notes from teachers, parents and kids,” he said. Westhaven Elementary School in Portsmouth, Va., has good reason to be thankful for its partnership with nearby Westhaven Baptist Church. The church decided to adopt the school several years ago as a result of a reevaluation of the congregation’s mission strategy. One goal that emerged was to increase the congregation’s visibility and reputation in its community. Jeff Peters, a layman at Willow Meadows Baptist Church in Houston, repaints a handicapped sign in the parking lot at Shearn Elementary School. He leads his congregation’s involvement in the “makeover” ministry at a local elementary school as part of Mission Houston’s Whole & Healthy Child Initiative. Members of the church surveyed the neighborhood, looking for potential partners, and high on the list was Westhaven Elementary School, four blocks from the church facility. The school serves a low-income community and had been on academic probation for several years. Testing results from the Standards of Learning, the state’s benchmark for public school evaluation, ranked consistently low. Westhaven church met with the school’s principal, offered a partnership and asked what kind of support was needed. The school’s greatest need, the principal told the church, was after-class tutoring. She had managed to find funding to pay for a few teachers to meet with students on Saturdays, and a little more to provide bus transportation. But she lacked money to provide breakfast for the students who might not get it otherwise and whose concentration would be distracted by empty stomachs. “In the space of a couple of weeks, we had two other churches and several area businesses jump in with volunteers and funds,” Powers said. In some ways, it was a small thing, Powers acknowledged. One year after the tutoring program was initiated, the school’s Standards of Learning scores were in the upper 80th percentile, and probation was withdrawn, Powers said. South Knoxville Elementary can boast similar results, thanks to its partnership with First Baptist Church of Knoxville, Tenn., through Kids Hope USA. Standardized test scores have improved not only among the students who have been mentored by volunteers from the church, but also for the school overall. “It’s a fairly small school, and when you make a difference in the scores of the lowest-performing students, it makes a difference in the school as a whole,” said Carol McEntyre, community minister at First Baptist Church in Knoxville. Kids Hope USA is a national program that equips churches to train and recruit mentors from their membership to work with at-risk children in neighborhood schools. Buckner International helps Kids Hope USA connect with churches, link them to schools and provide volunteers with training and screening. While the mentoring program involves 25 members of First Baptist Church, a recent “offering of school supplies” involved the congregation at large. Last spring, the church asked teachers at South Knoxville Elementary School to provide a wish list of supplies, and the church asked its members to gather items from the list throughout the summer. Some Sunday school classes adopted specific classrooms. On Aug. 9, the front of the sanctuary was lined with about $4,000 worth of supplies, and the church participated in a litany of blessing, praying for the school’s students, their parents and their teachers. Third Baptist Church in St. Louis, Mo., also partners with a local school through Kids Hope USA. Sixteen mentors from the church spend at least one hour a week with at-risk students at Cole Elementary School. “It’s a terrific way to connect with a school and for our church members to build relationships with the kids,” said Vicki Swyer, director of community ministries at Third Baptist Church. Another Missouri congregation—Grace Point Baptist Church in Kansas City—entered its relationship with Warford Elementary School out of a desire to connect with the larger community. “Our church is located in a secluded area, having moved from midtown about 20 years ago. We’d been struggling with the question: How can a commuter church get its hands around the community?” Pastor Kirtes Calvery said. Initial contacts directly with the school met with somewhat guarded responses, he recalled. But when Calvery met the school board president at a community Thanksgiving service and explained how the church wanted to serve a local school, doors opened. Every Thursday, volunteers from Grace Point—a predominantly Anglo congregation that averages about 160 in attendance—conduct an after-school club for students at the school, which is more than 80 percent African-American. Volunteers offer refreshments, teach a Bible story and lead in games and activities. In the spring, when students take standardized tests, the church provided each student a “success pack” with a pencil, eraser, a snack and a card of encouragement. Church volunteers also have worked on landscaping projects at the school. A few adult volunteers from Grace Point Baptist Church also have been involved in the Youth Friends mentoring program, Calvery noted. He has served as a “lunch buddy” with students through the program for about 10 years.